With instant messaging software - such as Brosix - managers can help employees increase productivity by cutting out distractions. In today’s day and age, productivity is a buzz-word throughout many industries. When employees are not producing results it is the employer that suffers. For this reason, managers of all types are looking for a way to better enhance productivity to ensure that tasks are being completed on time and in its entirety. With an instant messaging software – such as Brosix – managers can help employees increase productivity by cutting out distractions. Network Control Options - Thanks to the internet, there is more potential for employee distraction than ever before. From Facebook to email, it is often times difficult for an employee to stay on task for an extended period of time. For this reason, business instant messengers with “network control” options are becoming all the rage. 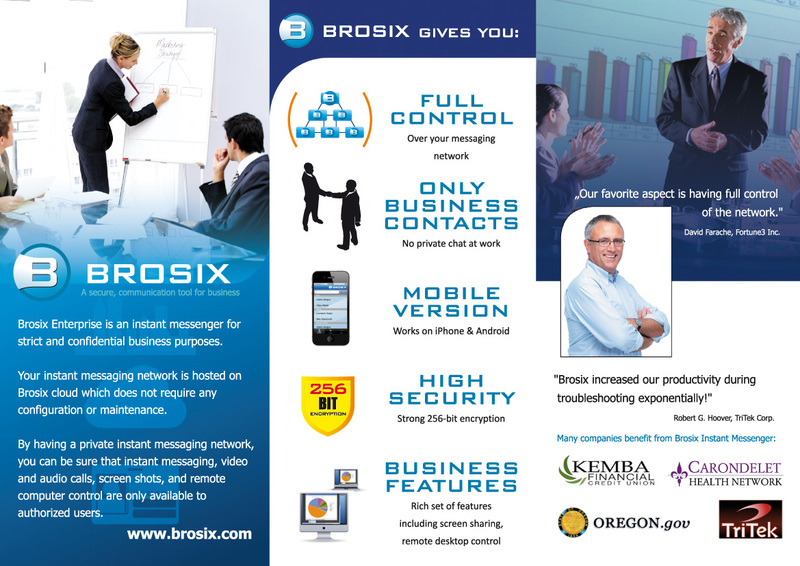 As a corporate instant messenger, Brosix takes a unique approach to the world of business communication by offering a higher level of managerial control. In the past, inter-office communication was relegated to meeting in person or using the telephone. Those days are long gone. Instead, co-workers often times communicate via email and instant messages. Along with speed and efficiency, the other benefit of instant messaging communication is the trail of activity that it leaves behind. This allows all parties involved to visit their archives when necessary. “At the end of the day, what matters most is that employees are being as productive as possible. With the right business instant messenger, managers can feel confident that employees are doing their job while each and every worker has access to the tools needed to work efficiently,” added Stefan. 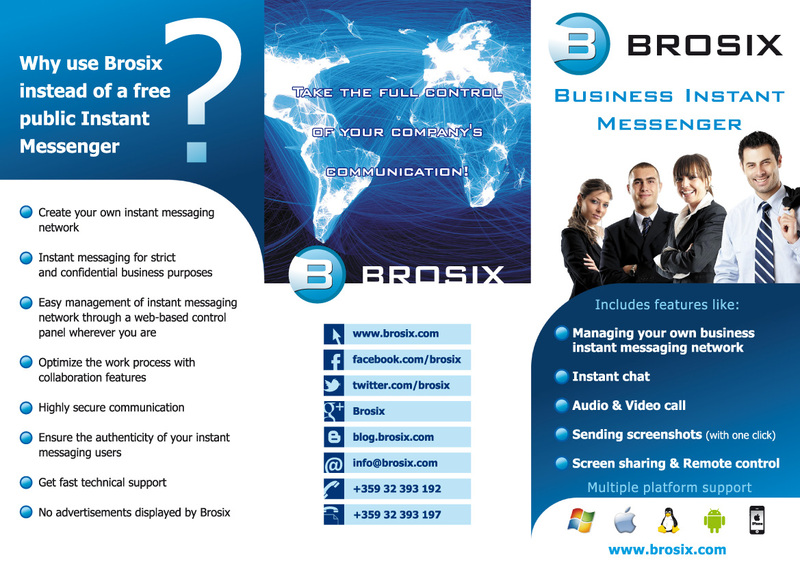 Brosix is an all-in-one corporate instant messenger, allowing managers to enhance employee productivity.